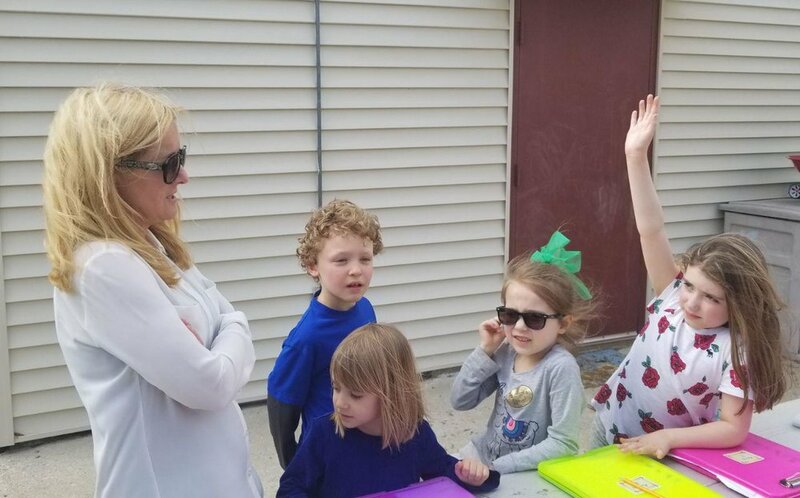 This afternoon, we decided to hold Kindergarten enrichment outside because the weather was BEAUTIFUL! A much needed change of pace from the past few weeks of snow and frigid temps! The kindergarteners had a blast as they created their own word problems to solve!